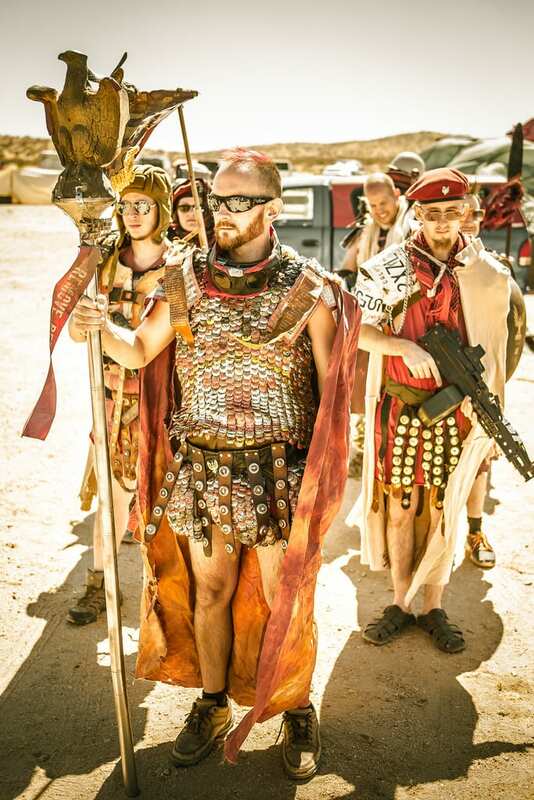 One of the aspects of Wasteland Weekend that makes it so daringly unique is the emphasis on fashion. All are welcome at the festival, but there is one ground rule that goes above almost anything else. You absolutely have to be in costume, and it must be post-apocalyptic. You’re free to express yourself as you please, but don’t think of coming dressed as, say, your favorite cartoon character. Your look must be grungy, dirty, and chaotic. You really truly need to look as though you’ve assembled your clothing from found parts you’ve scrounged together after a nuclear attack. Case in point: this motley troupe of post-apocalyptic gladiators.